For New England fans being 9-5 must have felt that what was 5-9 feels like for the fans of the rest of the NFL, if the subsequent hand-wringing about the state of the team is any indication. "Let's face it, it doesn't appear to be the Patriots year," Globe writer insisted around the same time. And yet, once again, it's the Patriots year, because it's always the Patriots year. 2 wins for the first time since 2009, it was a down season for the team. They had 11. The Patriots won their woeful division for the 16th time in 18 years. The first-round playoff week was hardly a question, as the last time they played in a wild card game was during the 2009 playoffs – the longest such streak in NFL history. Next Sunday will mark their first AFC Championship in a row, extending their lead on that NFL record as well. Since 2001, they've appeared in the Super Bowl eight times. And as anyone who's ever come to within a distance from Boston sports knows, the team came out of five of those seasons with rings on their fingers. Tom Brady has famously sported all five at once, and somehow they are his most obnoxious accessory. As the team heads into the AFC championship on the back of a 41-year-old Brady – who despite a slight decline in his performance, seems entirely ready to lead his crew of scrappy, gritty, lunch-pail guys to another title game – it seems only right to acknowledge, once again, that the franchise has reached a level of consistency that doesn't even hate it. Maybe it's because, as Brady had recently hit, he has a brain that is “wired for contact” and has “become callous to some of the hits.” Certainly an immunity to concussions has to be among the ultimate football intangibles. Whatever the reason – and skeptics have plenty of theories – the fact remains that TB12, Bill Belichick and the time have done something almost unprecedented, and certainly unmatched in contemporary sports. Alabama just lost college football's national championship. The reigning NBA champion Golden State Warriors look disarmingly, despite their gaudy roster. Even UConn, whose two-decade-long stint on top of women's college basketball has inspired detractors to say it's bad for the sport, just lost its first regular season game since 2014. 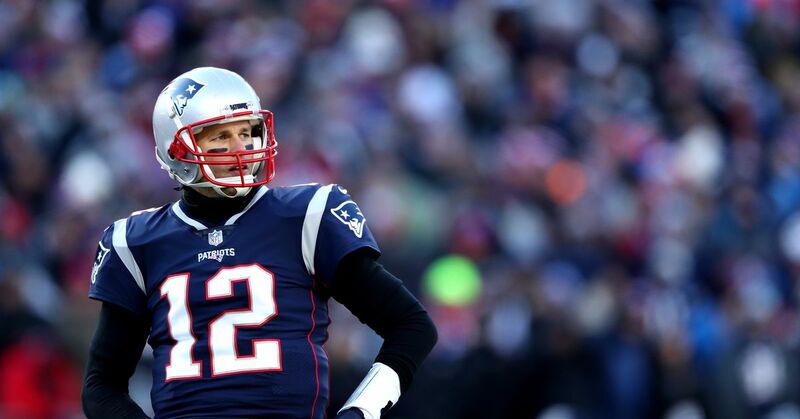 So we are left with the New England Patriots, whose trip to the AFC Championship feels as mundane and inescapable as death and taxes; the forms, of course, seem to be increasingly elusive to Tom, who is currently a couple scores in his duel with Time. Their upstart opponents, the Kansas City Chiefs, are confronted with a task that can only be compared with staring down the Death Star; all of the NFL, really, is Sisyphus to the Pats' nearly immovable boulder. Inevitability is even considered something of a team virtue: according to Belichick, the only sign in the New England Patriots locker room is from Sun Tzu's The Art of War (which … is normal): "Every battle is won before it is fought." The Chiefs, though, might benefit from the wisdom of a more contemporary philosopher, whose mantra – to be overcoming the odds, to roaring back when you've already been counted Out – Failed to win the Philadelphia Eagles to their Super Bowl victory: "Wait a minute – y'all thought I was finished?"